Arab Knesset faction criticizes US president for reportedly seeking to move US embassy to Jerusalem. Arab MKs in the Israeli Knesset reacted with outrage to reports that US President Donald Trump told Palestinian Authority chairman Mahmoud Abbas that the US embassy in Israel would be relocated from Tel Aviv to Jerusalem. MK Ahmad Tibi, chairman of the Al-Quds Committee of the Joint Arab List, said that the decision would violate international law. Al-Quds is the Arabic name for Jerusalem. "It is unthinkable that President Trump's election promise will become a 'political attack' that will cause a mortal blow to the vision of two-states. The American administration is now proving that it is part of the problem and not part of the solution," Tibi said. 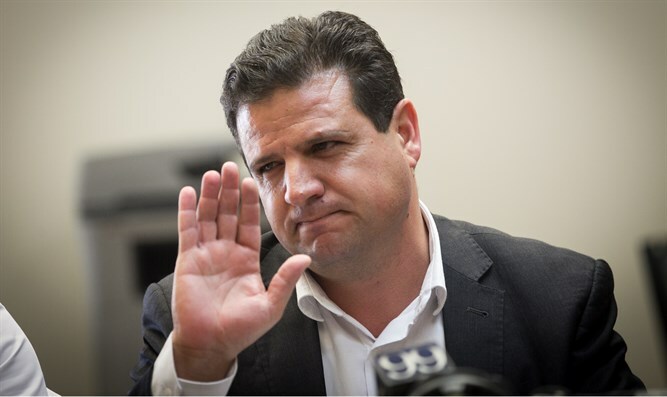 The chairman of the Joint List, MK Ayman Odeh, joined the attack on President Trump: "Trump is a pyromaniac and could ignite the whole region in his madness." "If the Israeli government wants the world to recognize West Jerusalem as the capital of Israel, all it has to do is recognize East Jerusalem as the capital of Palestine, "he said.